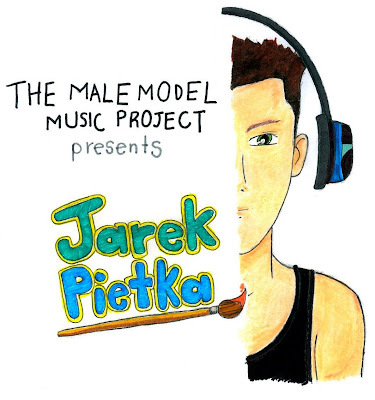 The Male Model Music Project: Music & art brought together from Poland: JAREK HITS THE CANVAS !!! Music & art brought together from Poland: JAREK HITS THE CANVAS !!! The second part of this model's art and music series has arrived; and with it, a splash of colour, youth, energy, talent and great music hits The Male Model Music Project. 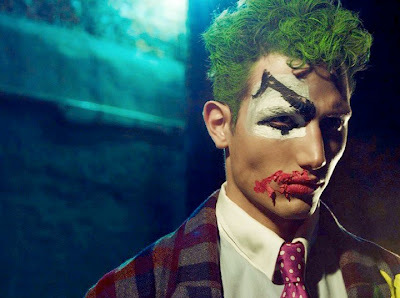 The responsible: Jarek Pietka, polish model , interior designer, photographer and student who has taken part in several shows for clients such as Dolce & Gabbana, D&G, Frankie Morello, Evisu, Dsquared2, Salvatore Ferragamo, John Richmond, Gucci, Calvin Klein, just to mention a few examples. He has also been featured in magazines like Esquire, GQ, Qvest, Men's Health and Commons & Sense in Japan, photographed aswell by Mariano Vivanco, Bruno Van Mosseveld, Zuza Krajewska & Bartek Wieczorek, Piotr Porębski, James Macari, Sam Scott Schiavo, Mark Seliger and many more. He has upcoming appearances at the cover of Attitude with Kylie Minogue and a video with polish actress Marta Żmuda Trzebiatowska. The Male Model Music Project interviewed Jarek who didn't hesitate to share a glimpse of his art as a painter and of course, his favourite sounds. When and how did you start painting? Jarek: A year ago. I started painting because I need that to open my mind and see more... this way I can be better interior designer. What inspires you to create a new painting and how long does it take to be finished? 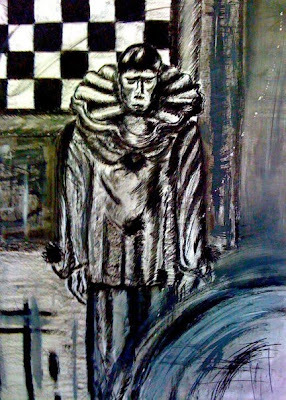 Jarek: Life, all situations in my life, new songs, projects, photos, fashion and the work of other painters. 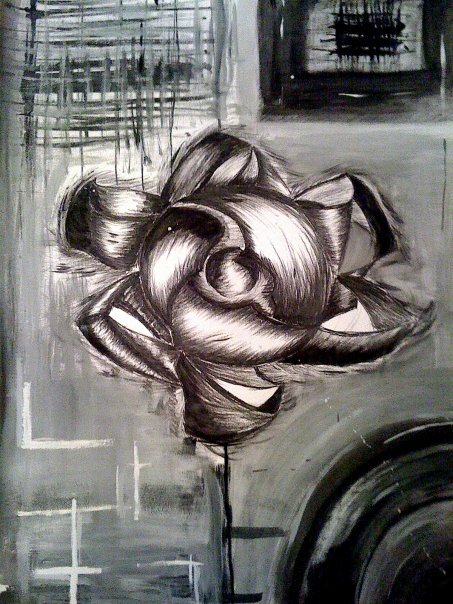 Its hard to say, depends on what I'm painting, sometimes it takes me 3 hours and sometimes a week. What materials do you use for your paintings and drawings? How do you describe your work in a few words? Jarek: Modern, open, fresh mind. What can wee see in your work? What do you want to express? 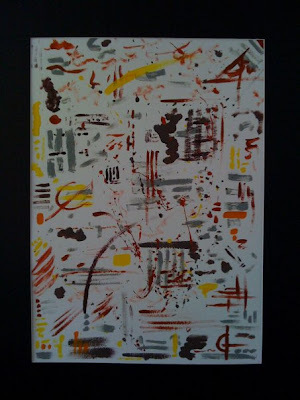 Jarek: I express all that I see, it's all about "time expression changing to plans"... like paintings of Jackson Pollock. Who is your favourite painter that somehow has influenced on your work? Jarek: Jackson Pollock is my favourite. Right now, I'm working in two new paintings using the same technique he did. ( "Splashing" also known as "dripping" is a tecnique that consists in throwing paint all over a canvas that lies on the floor. 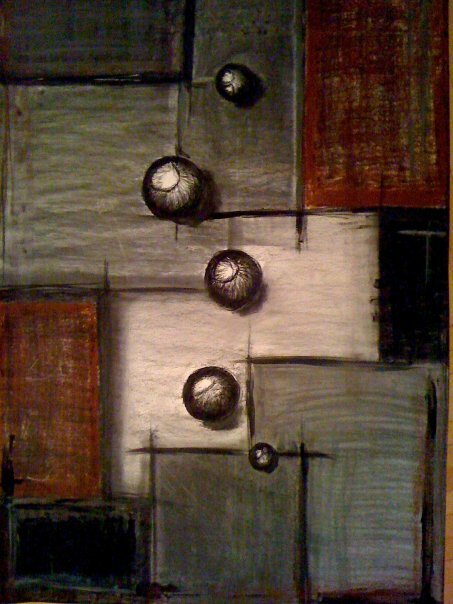 This allows the artist to move and run freely around it and keep adding more paint). Jarek: In my blog and my apartment. Are your paintings for sale? Do you plan the put them on sale someday? Jarek: Until now I have sold a few of them, but if somebody is interested in buying one, let me know. Where would you like to exhibit your work someday? Jarek: Someday I hope I can see my work in galleries in Warsaw, Vienna and New York City, but it's just a dream. Will you stop painting someday? Jarek: I don't know... but I hope I'll never stop , I love it !!! Jarek: Jazz, Lounge, Chill... I like Lizz Wright, Grand Tourism, Christopher Tyng and many more. If your paintings were a genre of music, which one would they be? Jarek: Jazz, Chill or Rock... who knows. There's a relation between music and fashion. 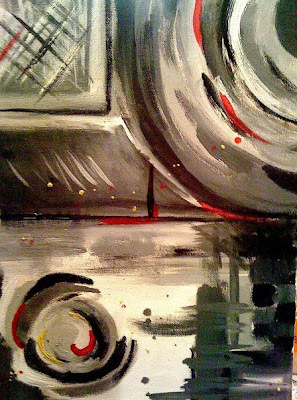 Do you think there's a relation between music and painting? How do you see this relation concerning your work as a painter? Name 5 songs that you really love. Jarek: "Blue in Green" by Miles Davis, "Don't Look Back" by Telepopmusik," You Keep it" by Digital All Love, " Style" by De-Phazz & "Blurry" by Puddle of Mudd. Jarek has worked for several fashion brand names. Above, at a previous Dsquared2 show in Milan. What's your advice for the young artists and talent? Jarek: Do what you want to do, never stop, paint what you think, say what you think. Don't be scared of your view or feelings. 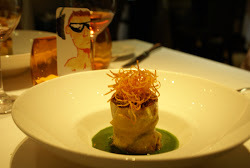 Check out Jarek's blog here. dziękuję Jarek, witamy w ramach projektu!! Jarek, waiting for his turn to hit the catwalk at Dolce & Gabbana's Winter 2011 show. 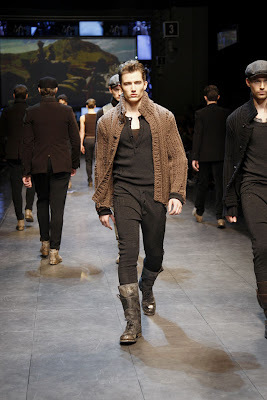 Great model but also a painter, interior designer and photographer, Jarek Pietka at Dolce & Gabbana's Winter 2011 show in Milan early this year.